I decided to whip a quick build together...Hobbycraft P-51A/MK.I RAF 309 Polish Sqd, 1943. 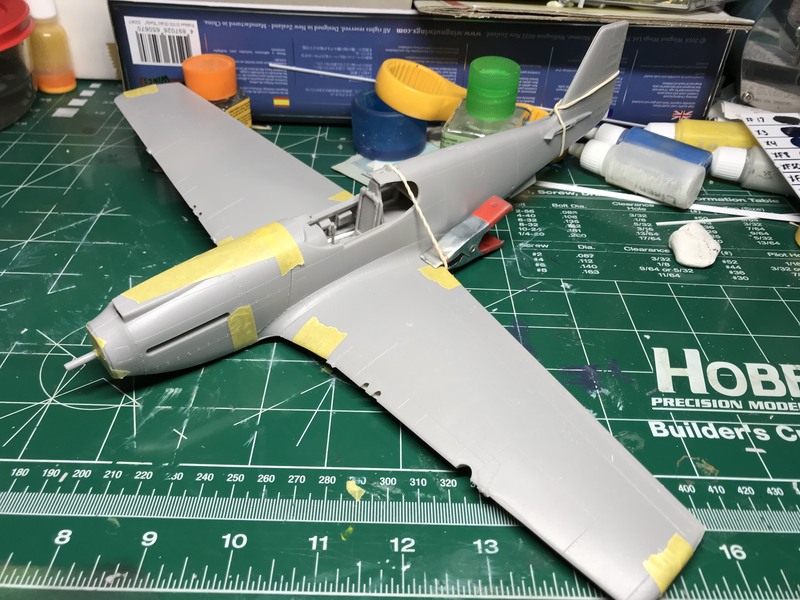 I decided to turn my P-51A into a MK.I and with no purchased AM, I will add a few minor scratch build items to the cockpit and use a few leftover pieces from other builds, but other than that, this one is really just meant for a paint job. 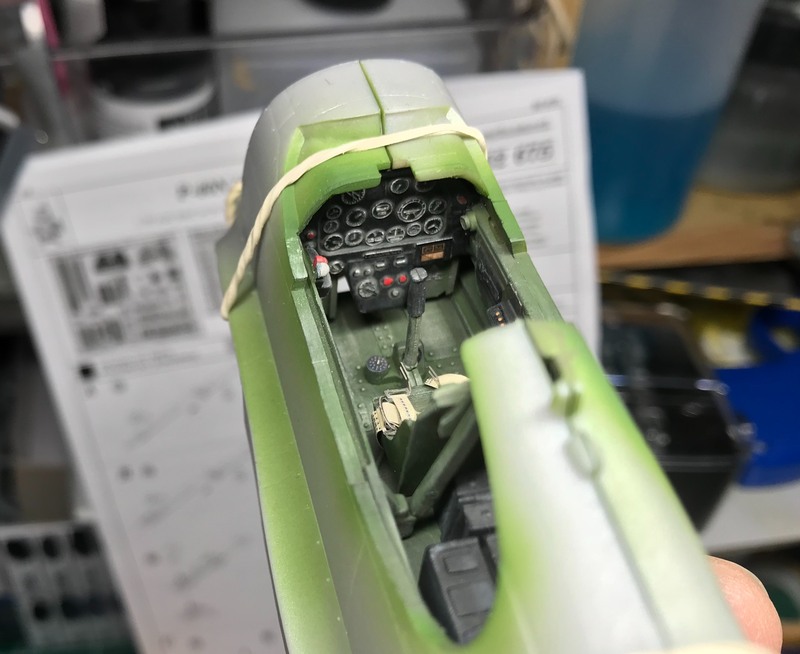 I'm doing a Sea Gray / Dark Green camo. I will also be adding a Malcom hood I pulled out of my MK.Ia kit. I am also considering doing a night fighter version that was 75% Dk Green and 25% Dk Sea Gray on top, and all black on the bottom, Im still researching this one. Here are a few pics, I am leaning toward doing the first one, â€œBâ€ scheme. 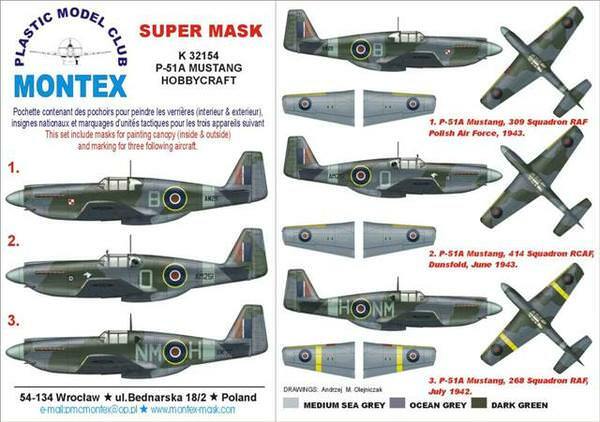 LOVE the early Mustangs with the Malcom Hood from the Polish squadron. Looking forward to your build! Im in the middle of one of these- been doing some scratch building of the tray behind the pilots head with the camera on it. Nice overall sillouette but you can tell its an upscaled 1/48- internal fit quite poor and short on detail although I used the Eduard P51B set for the Trumpeter. Look forward to following your build. Excellent choice, I will follow with interest. 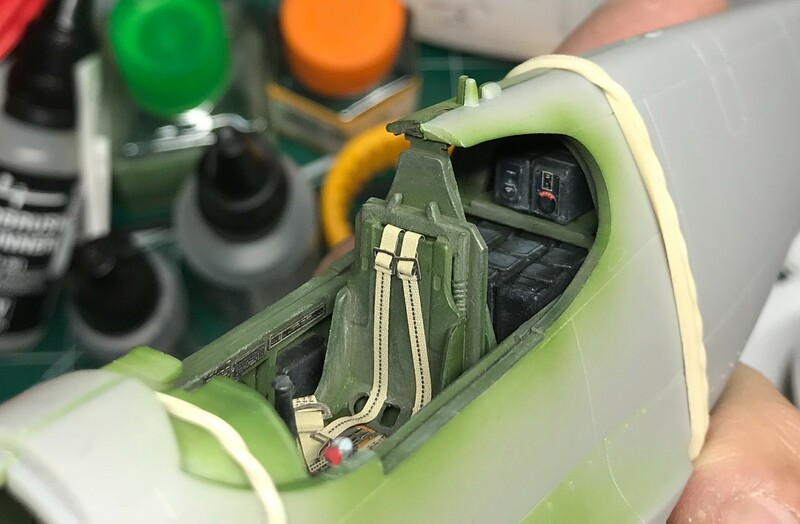 I have to admit, the cockpit fit was poor, as you see in the pictures, I had to use some shims and do some creative placement of some styrene strips. 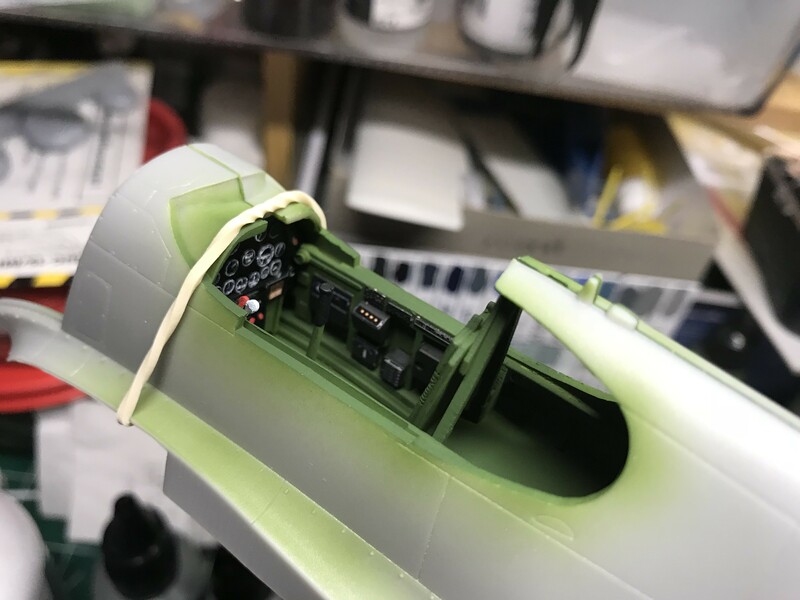 I also moved the upper tray behind the pilot back to bulkhead behind the rear windows, although, from pictures I have seen, they seemed to vary quite a bit. 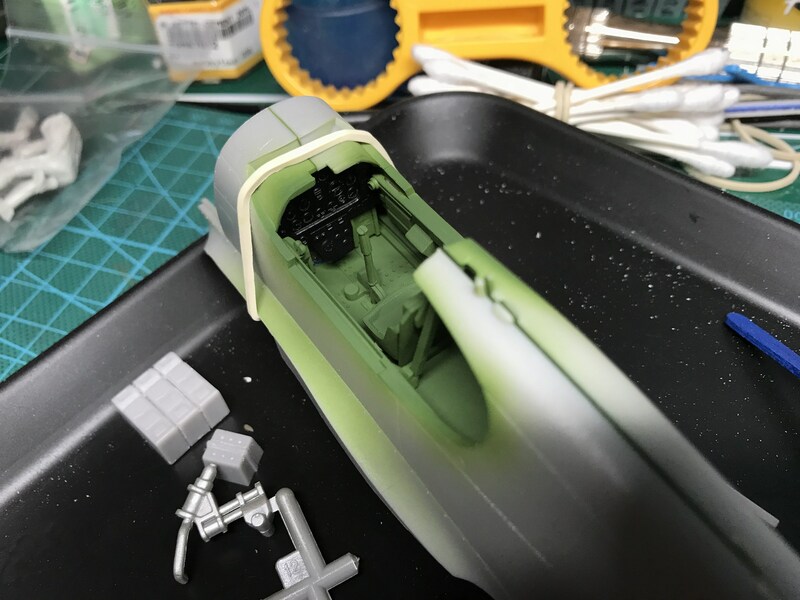 I still have to sand the wheel wells as the plastic is thick and interferes with the bottom of the cockpit floor a bit. I am using some leftover PE from other builds, but I am determined not to buy anything but a mask set for painting. There are definitely some minor fit issues all over, but nothing a sanding stick cant resolve. I spent about three hours total getting it to this stage, pretty much, all the gaps are near perfect and will not require putty, most of the fit issues were from rough mating surfaces, and misaligned mating pins. 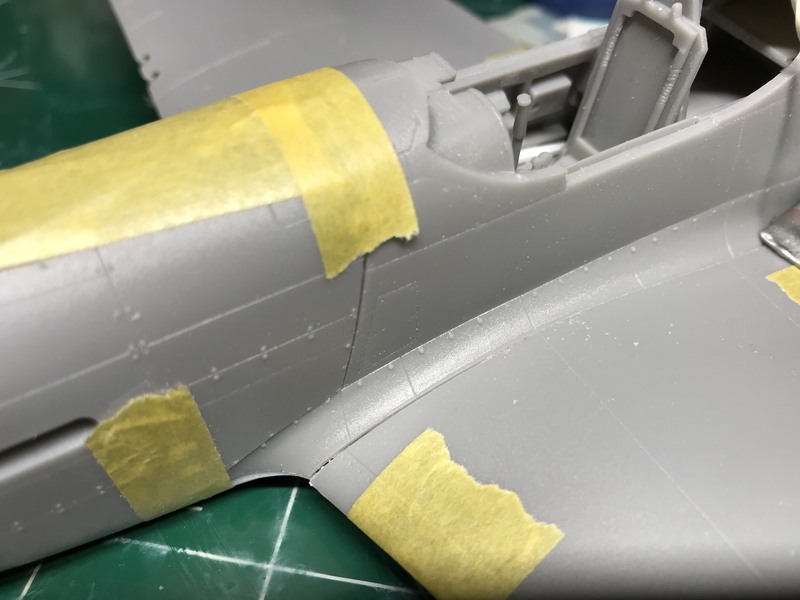 The wings only requires some very minor sanding for clearance, the front cowl was perfect, a little sanding on the right fuselage to cowl joint gave me a very tight fit. Actually, it was too tight, so I had to add a slight bevel to return the panel line. Most of the three hours was fabricating and sanding. I'm ready to paint the interior, then I will glue it all up and get it primed up. I wish Hobbycraft was still around as this is generally a nice kit. 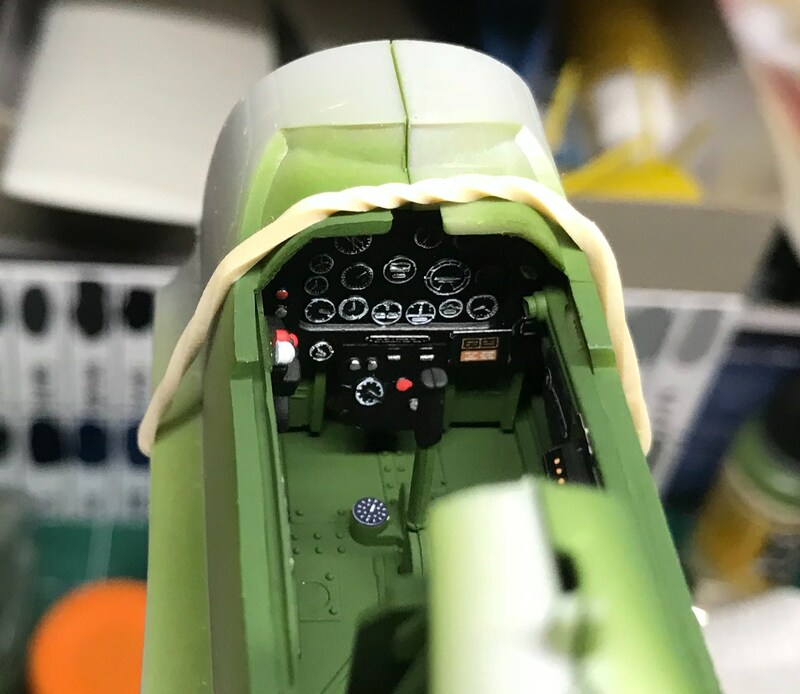 It really could use some more cockpit detail, but this will be a quick build and I will keep it simple. Great project, wish I had one of these! Just a minor note, I think you'll find that Malcolm hoods on RAF Allison-powered Mustangs were extremely rare. I'm certain that none of 309's had them. I am struggling with putting the Malcolm hood on. I have one picture of a Malcom hood on a MK1a 168 Sqd 1944, but its not a polish unit. I know they were swapped onto some aircraft, I figured...what the hell. I have also seen some Allison mustangs as late as mid 1944, so a few stuck around, its entirely feasible that some units had them, but I think it looks cool, so I really want one, the hard part is documenting a plane with it. I found this rather useful article if anyone is looking for early MK1 camo information. The last Mustang in RAF service was actually an Allison Mustang, retired in 1947, the Allison Mustangs served right until the end of the war and were the only Mustangs the RAF could keep (as the Mk1 and 1a were not lend-lease). Very few got the hood though, as it was less beneficial for the missions they flew (which was mostly low-level recon) than it was for the MkIII's flying fighter sweeps. Great idea, there's nothing like a quick OOB build with no worries about the exact details to refresh the modelling mojo. 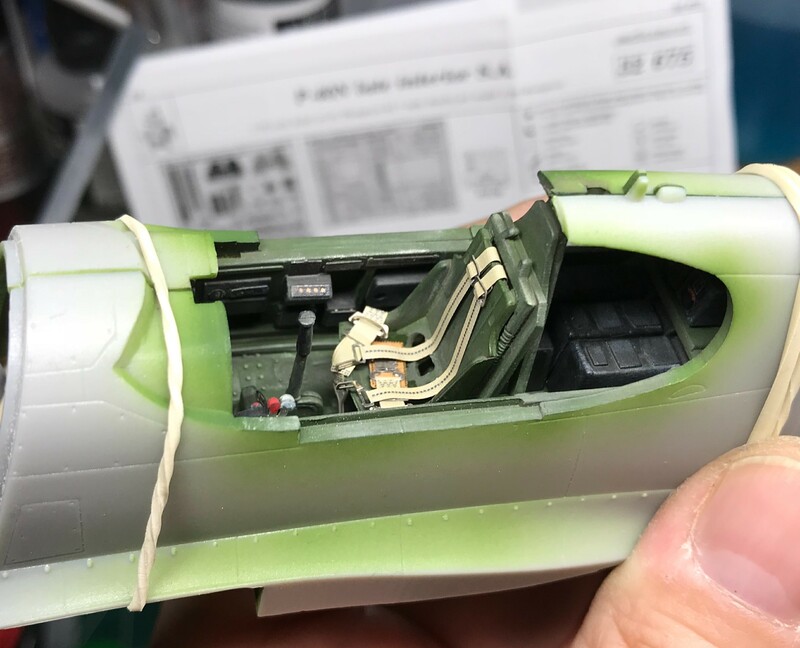 Quick update, I got the interior, landing gear, and wheel wells airbrushed, now just have to hand paint some details before I close up the fuselage. 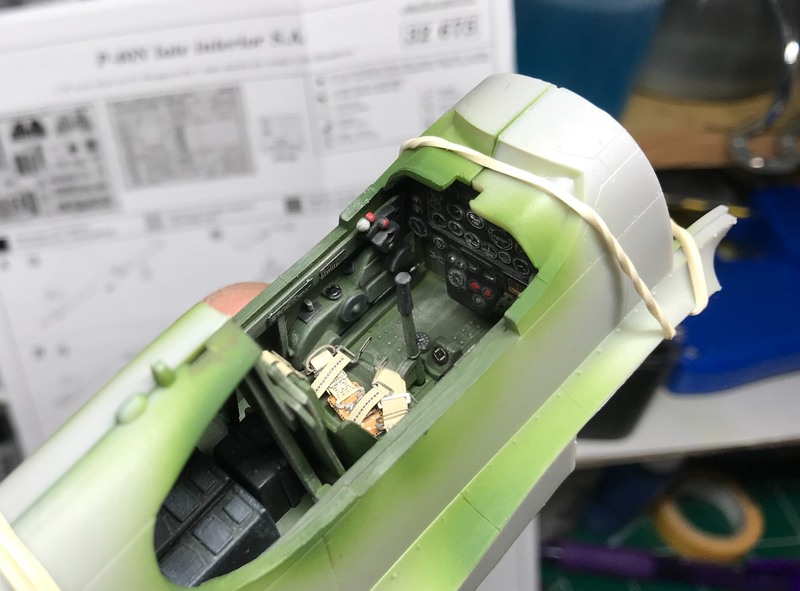 After struggling with ordering a set of PE for this, I relented and dug out a set of P-40N PE from my stash, which I just used the placards and a few bits for the cockpit boxes, the rest is paint. I still have to weather it a bit, but for a $10 cockpit, I'm happy. Weathering with dark brown wash, and aluminum, gray, dark green, and light green powders. 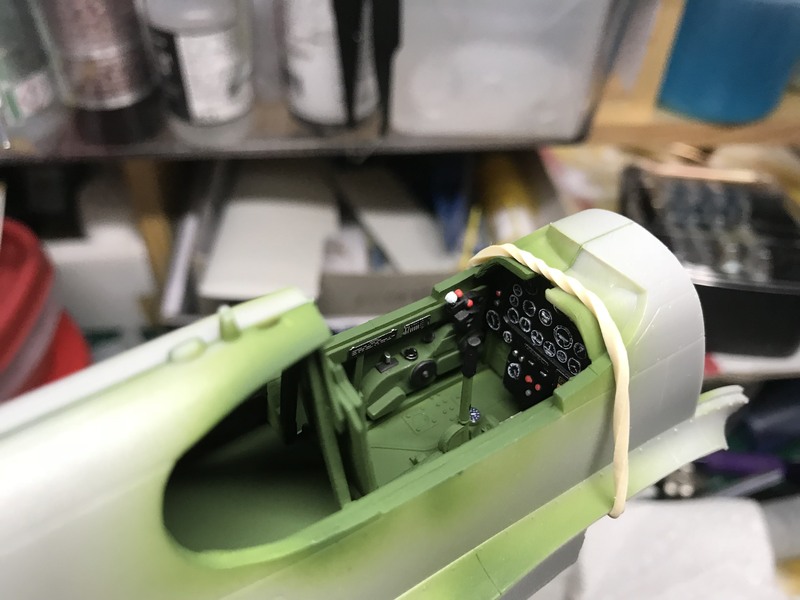 I used the set of Eduard P-40 seatbelts, they may not be correct, but it's all I had on hand. As I was researching this version I learned a lot of interesting things about why the RAF had so many MK.1 and MK.1a Mustangs, and why they kept them so long. These were not Lend/Lease, these were bought direct from NA, so they were bought and paid for, so that explains why they were flying these until the end of the war.